The Morning Gift has an opening not dissimilar to that of The Secret Countess: we are given a glimpse of our heroine’s untroubled life among the cultural elite of Vienna before the war permanently changes everything. Only this time it’s WW2, and our heroine is twenty year-old Ruth Berger. When the Nazis march into Vienna, Ruth’s father is arrested by the Gestapo, and only released under the condition that he leave Austria within one week. The Bergers send Ruth to London with a student visa, and then prepare to leave themselves. But unbeknownst to her family, Ruth is denied permission to leave Austria, and ends up being left behind entirely on her own. When Professor Quinton Somerville, a scientist who has worked with Ruth’s father, arrives in Vienna for a ceremony that is supposed to honour his colleague, he follows the strands to find Ruth alone at the Bergers’ home. The two realise that the only way for Ruth to leave Vienna safely and join her family in England is for them to get married. This marriage of convenience will be dissolved as soon as Ruth receives British citizenship – but when she becomes a student at the London university where Quin teaches, the two remain in contact, and soon it becomes obvious that they’re developing feelings for each other. Yet there are of course complicating factors, namely the fact that Ruth is supposed to be nearly engaged to Heini, a brilliant Hungarian pianist who’s meant to be joining the Bergers in London any day now. What a lovely book The Morning Gift is. I can see why long time Eva Ibbotson fans like Claire and Fiona call it their favourite. Ruth’s story is charming and delightful and ultimately hopeful, but also very dark, as a story set at the eve of WW2 could hardly fail to be. In addition to the darkness, The Morning Gift seemed to me franker than the other Ibbotson novels I’ve read to date. It deals with sexuality more directly, for example – it acknowledges Ruth’s desire for Quin and the extreme vulnerability involved in sexual and emotional intimacy in a way I hadn’t found in her writing before. Ruth and Quin’s romance was lovely and extremely satisfying. I praised Ibbotson’s handling of love stories in The Secret Countess, but she does it even better here. The pace is slower, the obstacles are more mature, and the reader is given plenty of time to see Quin and Ruth’s connection grow. The Morning Gift isn’t so much about them falling in love – they are in love for most of the novel – as it is about growing intimacy and trust and doubt. I’m always happy to find love stories that explore this aspect of relationships (if you have recommendations for more of them, by the way, I’m all ears). As is customary in Eva Ibbotson’s novels, the love story is accompanied by a cast of colourful and memorable secondary characters with their own plotlines: there’s the Jewish refuge community at Belize Park, adjusting to the loss of their world and to a new impoverish way of life; there are Ruth’s university friends, who have troubles of their own; there’s Quin’s formidable Aunt Frances; there are Miss Maud and Miss Violet, the two elderly ladies who run a teashop in Belize Park. All are portrayed with Eva Ibbotson’s usual tenderness and warmth. One of the things I’ve been doing as I read through Eva Ibbotson’s back catalogue is trying to make sense of her attitude towards class. I do this not to decide whether or not to disown her based on what I find out (I read and enjoy plenty of authors who are invested in ideologies I find problematic, after all), but because I’m genuinely interested in learning more about the worldview (or wordviews, as these things are not static) behind her large body of work. When I reviewed The Secret Countess, Alex told me that she found Ibbotson’s classist attachment to the idea of intrinsic nobility too offputting to be able to enjoy her writing, and Jodie wondered if there might be something to how she portrayed characters with new money versus characters with old money. I kept their thoughts in mind as I read The Morning Gift, and what I found only complicates the picture further: first of all, the closest this story has to a villain is the insufferable Verena Plackett, who comes for an old genteel family and thus has the “right” sort of background – but her arrogance and snobbery are her downfall. Verena and her mother counter Ibbotson’s tendency to make her villains nouveau riche. Secondly, there’s Quin’s Aunt Frances, who I thought was the most interesting of the secondary characters. The reader first meets her at Bowmont, the Somerville estate in Northumberland, when she’s peering out of the window with a spyglass and ordering the daytrippers who made their way to the estate’s beach to be promptly expelled. Aunt Frances is interesting because although she’s portrayed very sympathetically, the narrative acknowledges that she’s often wrong. Furthermore, her allegiance to problematic class attitudes is often just for show – a point that’s humorously illustrated through a plotline that involves a mongrel puppy Aunt Frances declares to reject, but secretly loves. There’s a very clear discrepancy between what she says and what she actually does; a discrepancy the text clearly wants readers to notice. However, there’s also a degree of romantic attachment to the idea of aristocratic families with estates and inheritances and long histories in The Morning Gift. The idea of Bowmont falling into the hands of The National Trust, for example, is portrayed as a tragedy. I completely understand this from a personal and emotional perspective – it’s natural for people to have feelings about parting from a beautiful home; about a family’s long history in connection to a building coming to an end. That this is a problem that only exists within a context of extreme social and economic privilege does not making it wrong, or unworthy of being included in a story. I only find this kind of thing offputting when it becomes prescriptive – when people’s understandable emotional attachment to their lineage and to spaces they have a historical as well as a personal connection with is understood as signalling that their privilege is part of the “natural” order of things. I don’t think The Morning Gift does this, but there could very well be elements that support a different reading than mine. “To jump into the sea for a half-grown mongrel?” he jeered. I suspect there’s more to this story than either Quin or Ruth acknowledge – there is after all a long history of women being compelled into life-threatening pregnancies for the sake of lineage, and I hate to see it dismissed or explained away. But Ruth raises interesting questions about how the melodramatic life narrative Quin is so attached to robs his mother of any agency. Ultimately neither of them can know what really happened, but it’s dangerous to automatically assume that either version must be the right one. All this to say: I love Eva Ibbotson’s novels because they’re all about people being able to do better – about even someone like Aunt Frances changing, growing, letting go of prejudices, and behaving humanely to others when the moment of truth arrives. Another reason why I loved The Morning Gift was the fact that it unapologetically features a nearly universally beloved heroine, a girl who is beautiful, smart, good at pretty much everything, and quick to connect with anyone she meets. Readers often seem to be suspicious of, if not outright hostile to, characters like Ruth Berger, but I for one found such an unabashed celebration of a young woman’s competence refreshing. Finally, how could I resist a novel that features such wonderful moments of humour, like the one where Miss Maud and Miss Violet apologetically express their willingness to adapt to the immigrant community that now frequents their teashop? But in the flat above the Willow Tea Rooms, a light still burned. “I suppose we could serve some of those cakes of theirs,” said Miss Maud as the two ladies, in flannel dressing gowns, sat over their cocoa. “Oh, Maud! Not… strudels? I’m sure Father would not have wished us to serve anything like that.” Three years younger than her sister, Violet was less skeletally thin and, at forty-three, her fair still retained traces of brown. But what it was was something she could not put into words. That she was devastated by the loss of a place which had nothing to do with her, which she would never see again. That she had been storing Bowmont in her mind: its cliffs and flowers, its scents and golden strands… There would be a lot of waiting in her life with Heini: sitting in stuffy green rooms, accompanying him in crowded trains. Like the coifed girls in medieval cloisters who wove mysterious trees and crystal rivers into their tapestries, she had spun for herself a dream of Bowmont: of paths where she could wander, of a faded blue door in a high wall. And the dream meant Bowmont as it was—as Quin’s demesne, as a place where an irascible old woman bullied flowers out of the ground. I love your reviews. And I'm glad you loved this book too - it is as you know my favourite Ibbotson. I do like that she is unapologetic about her pretty much perfect female characters. Ibbotson's books exist in a realms where princesses get their happy endings, with castles and moats and lakes... It's fairytale - and it isn't trying to be real in that way. I think that's why I can accept the obvious criticisms of her novels. Yes they do romanticise the idea of nobility and class - but why must we these days reject all this, just because we've moved on and have different ideas and beliefs? I think like with programmes like Downton Abbey- we do still like to romanticise the idea of class society, maybe out of nostalgia for the past when everything seemed bright ant easy. What I love about Ibbotson is that she provides that sort of feel goodness novels, without being overly airy or empty like some others might be. I have never read anything by Ibbotson. I am going to have to remedy that one of these days! I've added it to the wish-list, you had me at "left behind entirely on her own". I'm also curious about my own take on the class and entitlement side of "The Morning Gift". I suspect I have a tendency to give it too much importance (Portuguese lower-class family with father very much involved in the 25th of April?). It also put me off Georgette Heyer, who I feel I *should* like. What an absolutely wonderful review! I'm so glad you enjoyed this. Fiona: I also really love the fact that she's never sorry to give her heroines their happy endings. And from what I've read so far, the nostalgic element of her novels is nowhere near as problematic as that of other fictional universes. She might not get everything right, but she's extremely compassionate and acknowledges that the gilded age she writes about had a dark side. Kelly: Yes you do! She's quickly becoming one of my favourite authors. Sometimes it's hard to love perfect characters, but when they're well written, they can be brilliant. This sounds wonderful. Regarding Ibbotson on sexuality, you should also read A COMPANY OF SWANS. I was surprised at the book's frankness when it came to the heroine's desire to be "ruined," and the hero's reservations about doing so with this particular girl. I have only read (and enjoyed) Ibbotson's fantasies. MORNING GIFT sounds like a beautiful read. That sounds fascinating! I haven't read anything by Ibbotson before, but your review really made me want to. This does sound like a really special book, and I like the points you make about the growing of intimacy and trust between the two characters. I can see how this book must have affected you, as reading your synopsis really affected me as well. Fantastic review today! Hey, speak of the devil! I was having a crappy January last week (still true! actually has gotten much worse!) and ordered several comfort reads from PaperbackSwap, and The Morning Gift arrived in today's post. I think I have maybe read it before, but ages ago and I don't remember, so I'm excited to read it again. Eva Ibbotson's YA books are so, I don't know, so relaxing and pleasant to read. My library has a limited number of Eva Ibbotson books, and this isn't one of them. :( I will keep an eye for it at used book shops, though. I also found her attitude toward class interesting. For examples, in The Reluctant Heiress, Guy, the self-made millionaire, is hailed as being completely indifferent to society; but it's obvious that the honor and traditions of Pfaffenstein are important, too. However, I took this to just be an extension of the gradual dissolution of the pre-War social system. It sounds like this book has a similar balance. I have only read The Secret Countess of Ibbotson's books. At the time I blogged about it, I found Anna of The Secret Countess (a.k.a A Countess Below Stairs) to be "impossibly good" and "unbelievably humble." I just found her too cliched for my tastes. But there's usually a story behind every person's tastes, and that's no different here. When I was growing up, I read a lot of Christian or inspirational romances. It seemed to me, then, that this genre was heavily populated by effortlessly perfect and humble women and men. I tired of them, especially the effortless aspect, and Anna just seemed to be cut from a similar mold in my eyes. Anyway, not sure there was a point in any of this, but I sincerely hope that my criticism of an Ibbotson heroine's perfection is not me subconsciously bashing strong female characters. (I read that link to the Zoetrope article and it was very thought-provoking.) There was a recent character in an Angela Thirkell novel, who was liked by nearly everyone she met (except her selfish mother and another self-involved character). And I really enjoyed her. Final note in an already long comment - I haven't written off Ibbotsen, because I did like her humor, and The Morning Gift sounds intriguing, so thanks as always for your thoughtful review. 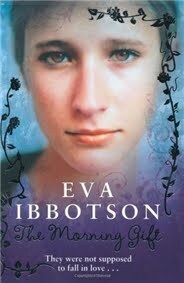 I've been enjoying wtching you read your way through Eva Ibbotson, who is one of my favourite writers. 'The Morning Gift' is not my favourite, but I do love it. As always, her minor characters are a delight and I agree the love affair is well done. Yes, she does write impossibly sweet heroines sometimes, but I actually find that refreshing. And I love how her books are always full of music and dance and art. I would agree with others that this is my favourite book of Ibbotson's. I really loved Ruth's character and how she over came so many obstacles. I also agree that there was sometimes a darker and more adult element to this book, which just set apart a bit from her other books. I still have plenty more of her books to read though. Okay my dear, first let me say how much I enjoyed this review...and I think I'm now even more eager to read this one than The Secret Countess. Kathy: Yes - give me a flawed but human character and I'll be happy! Memory: Oooh - bumping it up the priority list! Belle: I can't believe I still haven't read any of her fantasy novels! I need to do something about that. Heidenkind: Oh, yes, that's an excellent point. I think those social changes are definitely a concern of hers. 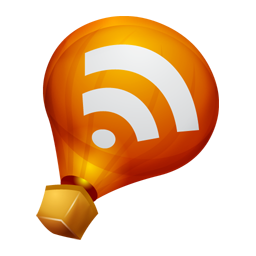 Christy: That article gave me pause too exactly because this is something I've done in the past. I think there's more than one reason to dislike a character who is too perfect - sometimes it's just that this signals shallow characterisation and black-and-white writing, and being annoyed is perfectly legitimate - but it worries me that many of us seem do do this more with female characters than male ones. Kaye Forsyth: Yes, I love that about them too. You can tell she appreciated the arts, and she always adds that to her books. Jessica: So sorry I missed your reviews! I did love te more mature elements in this one. I can't wait to try A Company of Swans, which Memory suggested above. I forgot just how much I love to read your reviews! Of course, you make everything sound so good that my list would never stop growing if I added all your reviews to it!! This book sounds wonderful though. i have never read anything by Ibbotson, so I guess this will have to be the first! I'm spending the day trying to catch up with blogs and adding new books to my TBR. Thanks!! Yay, you're going through the rest of Eva Ibbotson's backlist! I remember reading this one but I can't recall the details anymore (maybe it's time for a reread). What I like about Eva Ibbotson's writing is how easy it is to fall into them and I feel like I'm reading an old favorite even if it's the first time I've encountered the book. Sounds like I should read this author! Stephanie: Aw <3 I missed you a lot too. Chris: Oh, excellent! It will be a while before I can get Pink Smog, but then again I haven't even read Necklace of Rubies yet. Chacic: Yes I am, and that this rate it won't take me very long :P And I know just what you mean about them having the feel of old favourites. Anna: Yes! Especially because of your interest in war literature. The two world wars often play a big role in her plots.